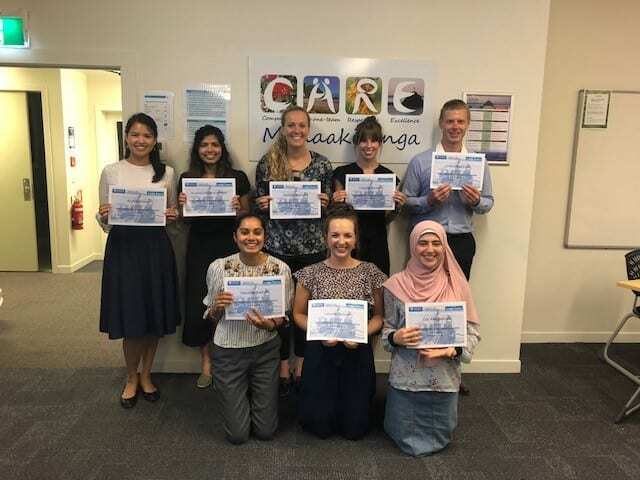 The University’s Rural Health Interprofessional Programme (RHIP), based at Whakatāne Hospital in the Eastern Bay of Plenty, is a five-week rural initiative for students across the healthcare sector. It provides an opportunity for students to meet other health professionals, experience rural optometry practice and learn about the barriers that many New Zealander face in accessing eye health care. Part V student Sushmita Chinchankar participated in January/February 2019, the first time an Optometry student has been included in the initiative. Sushmita was hosted by Visique Whakatāne where she shadowed Ian Finch and Michael White for three days a week. She gained a lot of knowledge, experience and insight into the real world of Optometry. The programme includes activities each week such as overnight stays at Te Rewatu Marae along with the CEO of BOP DHB, meeting the Mayor of Opotiki, and attending smoking cessation and family harm workshops. The programme culminated in students designing their own Maori Health Strategy for the community, which was presented in front of a wide panel including Head of School of Optometry and Vision Science Steven Dakin. Overall Sushmita found the experience life-changing and reports that it gave her a better insight into the love, passion and care demonstrated by a range of healthcare professionals and students towards their rural community.